Stainless steel impeller is widely used in many conditions which need high anti-corrosion requirements. 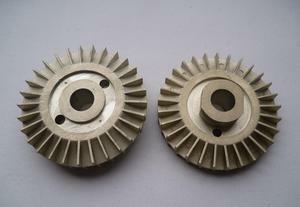 They are normally made by investment casting process. The weight weighs from 0.5kg to 10kg. The material of stainless steel impeller is CF3 or CF8, or CF3M and CF8M.